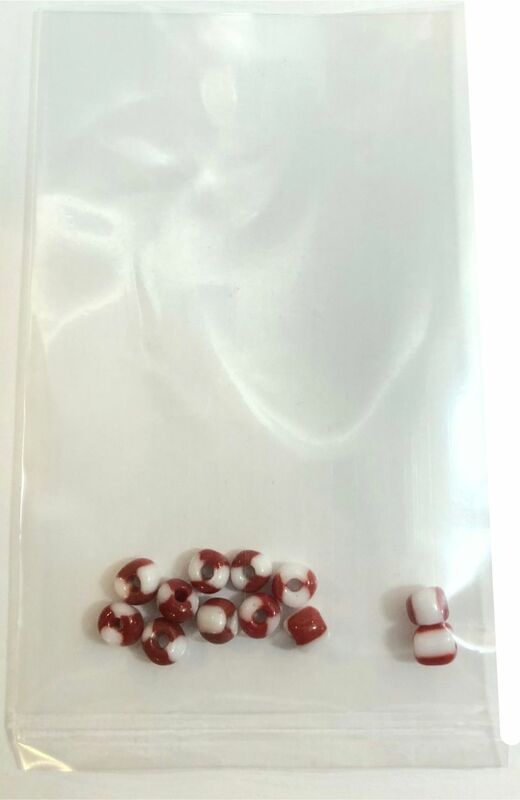 Set consists of 12 white glass beads with red stripes. These are perfect for fishing net buoys as well as lobster/crab pot markers or anything else your imagination can come up with! These are really cool markers! Beads measure approx. 3.3 mm (.13") in diameter and the same in height. These do tend to vary a bit from bead to bead.